1,000 vehicles (free) bus parking available. Flowers may bloom a bit early or later than expected due to change in weather. Guests are allowed to bring their own boxed lunch. Please clean after yourselves. Strollers (B-type 10 available), nursing room (Flower cafe), and diaper changing sheets (inside central restroom) are available. There are also chairs as well as cutlery for children available inside the park’s restaurants and the Flower cafe. During Summer and Fall seasons, the park prepares a special kids’ corner inside the Flower cafe. There are wheelchairs (total 17) for renting and toilets for guests with disabilities. The park's main roads are paved. Guests are welcome to bring their pets inside the park. Please keep the pets on leashes and be respectful of other guests. Gardening supplies and vases that are designed with different flowers as motifs such as tulips during Spring, sunflowers in the Summer, and dahlia in the Fall are available for sale. Rare tulip planters will be on sale during Spring and corn and watermelon during Summer. 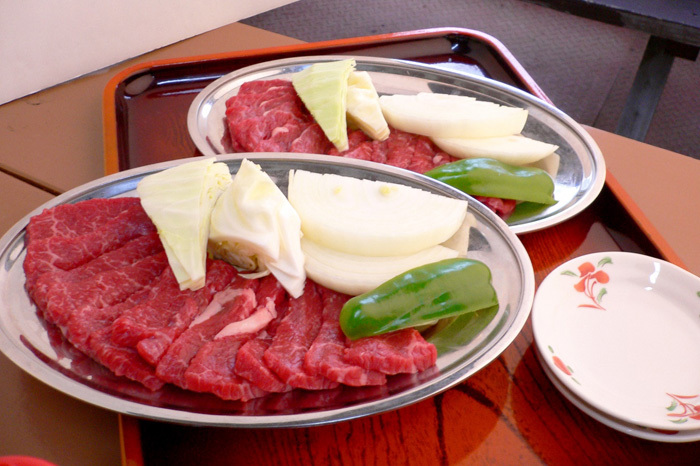 At the forest terrace, guests can enjoy quality barbeques as well as simple dishes like udon noodles. 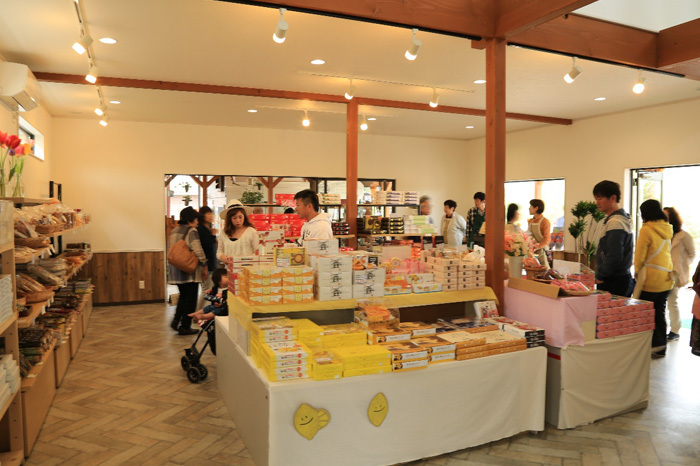 There is also “Seasonal wazen (Japanese dishes),” made with ingredients from Sera, available for a limited quantity during Spring and Fall seasons. 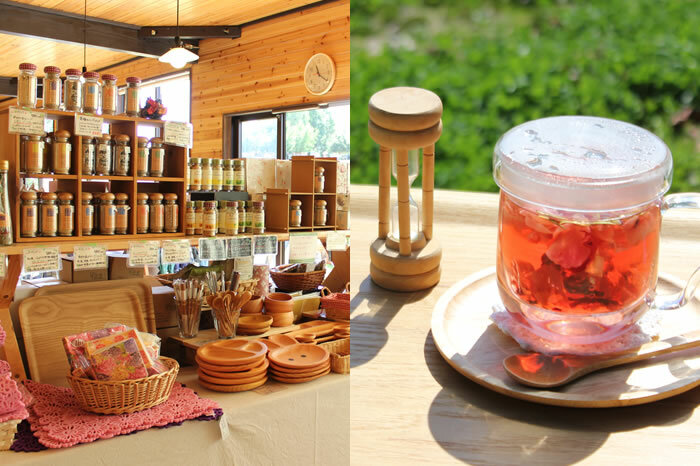 Guests are welcome to enjoy herbal tea while enjoying the view of the fields. 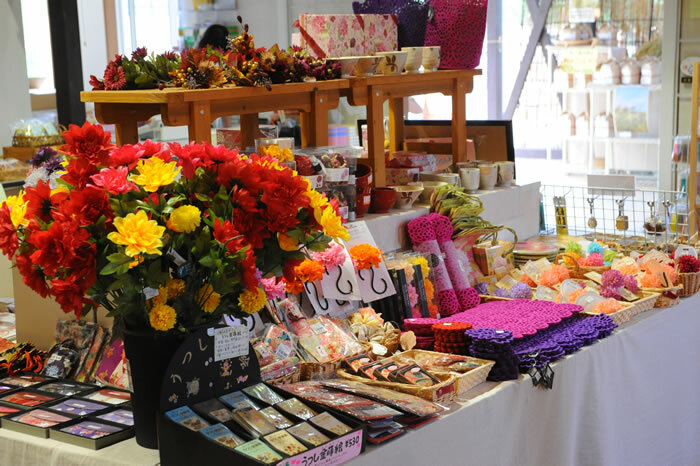 There is also a variety of herbal merchandise available for purchase inside the park. *Here is the nursing room.